Nao is a personal health and well-being consultant. 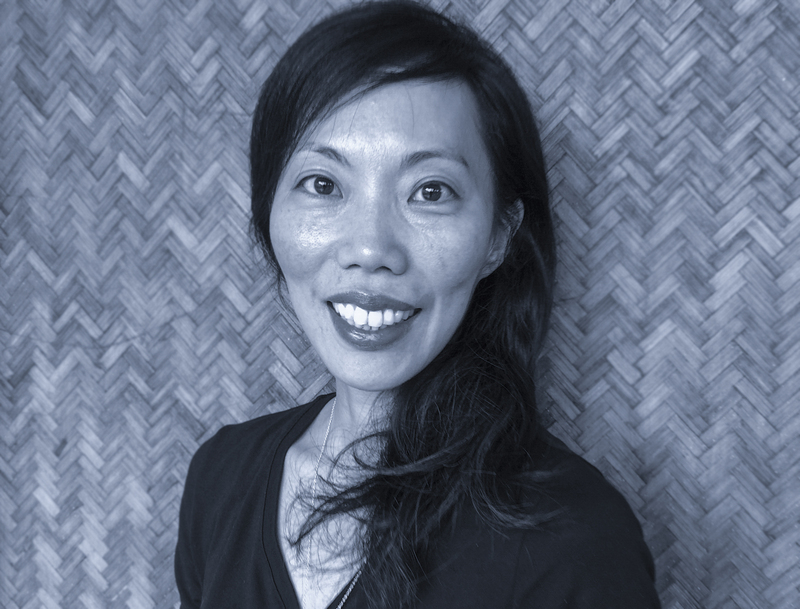 She offers an individualized massage that combines deep tissue manipulation, acupressure reflexology, guided meditation, and Japanese energy work. She identifies and releases mental and physical blocks and guides clients to a quiet, centered state. She then shifts their mind and body forward to a positive direction. Nao is available for home and office visits. "Nao’s massage is different. Every week she’s able to find those spots on my body that need attention and make them right. Her sessions leave me energized and clearheaded, too." "What a wonderful and effective experience! I sincerely recommend Nao Holistic. I have been suffering from lower back pain for about two years. Physical therapy sessions prescribed by my doctor had been ineffective. The night after my massage with Nao I enjoyed a full night of deep sleep. Nao’s touch is gentle, yet the pressure on each muscle is strong. My lower back muscles suddenly loosened up and opened for more fluid energy passage. Thank you, Nao!" "My daily life has always been stressful and my body is very tense and feels heavy all the time. A friend recommended me to book Nao. As soon as she touched my body and started the massage, my mind and body immediately quiet down. It felt like she took my whole being into different level! Her massage is deep, caring and meditative. I love her treatment so much. Thank you Nao, you are a special healer & a teacher!! " "As someone working in the catering industry, I spend most of my hours on my feet. I often deal with pain in my legs, shoulders and especially back. A friend of mine, put me in contact with Nao and now I see her at least once a month. Nao made sure it was a relaxing and comfortable environment. Right away you get the feeling of professionalism and experience. I highly recommend Nao." "Nao is a great long-term partner for those using massage to achieve their health goals. My sessions with her are working toward a bigger goal and we have made real progress." "I see Nao for reflexology once a month and the benefits have been extraordinary. I feel more in my body, calmer and more clear in my mind. My consciousness of my physical self has improved and I feel honored to have met her and know her because she shares such deep wisdom about the body and mind. Really recommend for both alignments and general wellbeing. Her reflexology as well as massage and healing, is second to none." Nao has been a practitioner of “Setai Doho” for over 25 years and was previously a student of its leading masters since she was 17. “Seitai Doho” is an ancient Japanese practice using energy work combined with a knowledge of how the body moves. Nao uses these specific techniques in her massage to help free your mind and body in the most effective and natural way. Nao holds an ITEC Diploma 3 in Holistic Massage and is a registered member of FHT. She is also qualified to practice Balinese lymphatic body and facial massage, Ayurveda basic massage, and massage for pregnant women. She is a certified (Hatha) yoga alliance instructor and macrobiotic food advisor. Nao serves clients around the world and is based in London, Tokyo, and New York City. What is the philosophy behind your practice? I believe everyone has a reservoir of energy that is unique to each person. We sometimes don’t realize we have something so grand and deeply powerful within us. My job is to help clients connect and tap into their potential and view the world with fresh eyes. What do you expect your clients to feel after a session? The end of the session should be a new start. Clients should feel light, calm, and more aware and in tune with the world. All clients have their own unique goals and I work towards them. I approach each session with a deep sense of gratitude and respect. I think it is a privilege for me to be allowed into a client’s personal space and to engage them on a deeper level. As a symbol of my respect, every session begins and ends with a bow. The initial contact is almost always about discovering a client’s state. From there, it is a journey that we take to find positive strength. A Holistic approach designed to relieve tension & to restore your inner flow. *Sessions will be conducted on a Japanese mattress. *Please wear comfortable & loose clothing. *All sessions are payable in cash & cheques only. *For cancellation & re-booking, please message 48 hours before your session day so clients on waiting list can have a chance to be booked. © 2017 Nao Holistic. All rights reserved.